We are looking forward to seeing all children back at school in January 2018. School opens again on the Tuesday 2nd January – Breakfast Club at 7.45 am – with the doors opening at 8.30 am for all other pupils. There are no clubs at the beginning of term, so all pupils should be picked up promptly by 3.00 pm. A massive thank you to members of the LFPA who once again organised a very successful event -our Learning Federation Christmas Fayre on Saturday 9th December. The event was well attended and raised in excess of £500 for both of our schools. I am delighted to announce the winners of the attendance league for the Autumn term - Willow class! They will enjoy their reward at the beginning of next term, congratulations to all of the pupils in Willow who have remembered their number one job of coming to school every day. The overall attendance for this term is 93.4% We have the Spring term to make 2.6% improvement to reach our target of 96%. Congratulations to Cherry and Willow who top the attendance table this week. Your generous donations in the Christmas Bucket – at the end of each performance last week – have raised £276 we have made a donation in aid of Save the Children for our Christmas jumper day. Thank you. We would like to thank you all for the support you have shown the school over the last 12 months. Watching all the children come into school at the end of the term, speaking with parents and talking to the staff you would be hard pressed to know that we are at the end of the longest term of the year. Certainly, we have lots to smile about with the achievements of 2017 and it is a year we can look back on with a great deal of pride. This year our school was named as Primary School of the Year AND Overall School of the Year from a category of four other outstanding settings. An amazing achievement! I strongly believe that 2018 will be an equally fruitful year for the school. The building work has begun and we will soon see the new school start to emerge. By the next academic year it is likely that the six new classrooms, new hall and a brand new purpose built nursery will be completed. We are committed to continuing to provide our staff with high quality training so they are able to to further enhance their practice and the teachers have already been booking up enrichment activities to maintain the exciting nature of our curriculum. All of this is possible because we have such a strong community spirit. We value your support and the way you have championed the success of your children. Everyday I continue to be inspired by the pupils and my colleagues and all that they do together to make Broadford special, unique and outstanding. Thank you as well for all the cards and gifts that have been given to staff. On behalf of them I would like to thank you for your kindness and generosity. Wishing you all a very peaceful and restful Christmas and a Happy New Year. Eat, drink be merry and make the most of the quality time with your families. 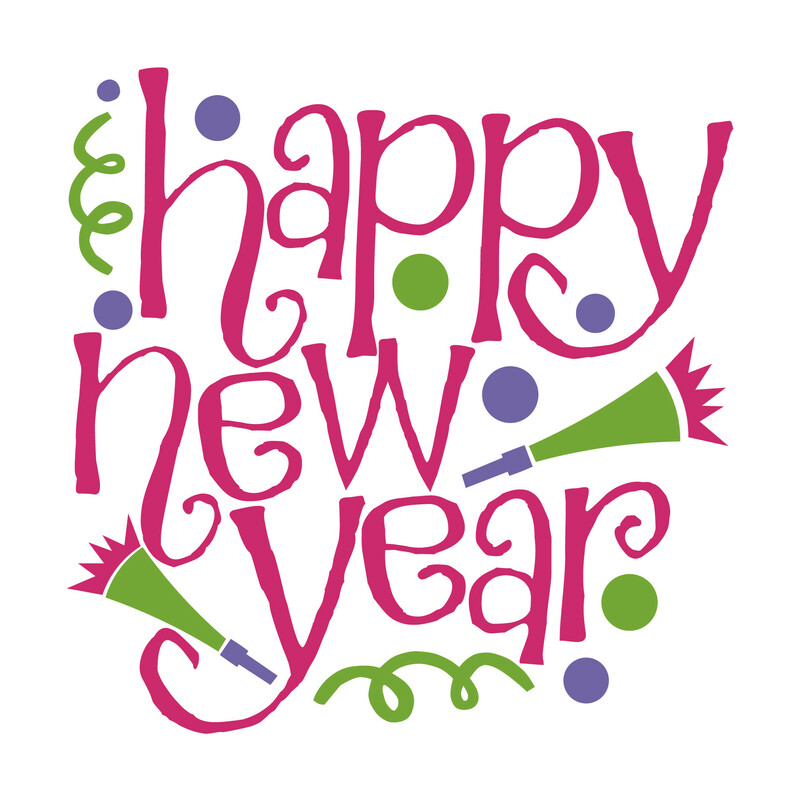 We look forward to seeing you in 2018! In the first game, the two sides were very evenly matched. Godswill scored a stunning goal for Broadford, while Wahab mesmerised the defenders with his dancing feet. Well done to Finley, Archy and Cruz who have been creating their very own football infographic. Based around the footballing achievements of their two heroes (Ronaldo & Messi) the boys collected a range of facts and figures. is Portugal's all-time top international goalscorer? is the winner of the Ballon d'Or, footballer of the year award, four times (2008, 2013, 2014, 2016) and the European Golden Shoe four times (2007-08, 2010-11, 2013-14 and 2014-15)? paid for the brain surgery of a 10-month-old boy? The Art Club have been mixing types of craft and art to create their very own fusion pictures. To begin with the pupils made their very own loom. They then used wool to weave the shape of the person who would be the focus of their painting. Once the person was complete, the pupils had to use perspective to create their backdrops: mountain sides, football stadiums and lakes. This project involved the pupils developing their skills in several different areas: watercolours, sketching, perspective and craft. When the pictures were completed they were then challenged to go back and add additional details - hats, boots googles. The varied nature of the project - and the time it took to complete the pieces - meant that the children had to use their resilience muscle! I enjoyed the project, but I had to really concentrate... weaving is complicated. At the start it didn't feel like we were making much progress. However the ideas all came together at the end. When we were in the sessions the time went so quickly - there was so much to do. My weaving kept getting into knots. However Mrs Caccavale showed us what to do. By copying her I was able to complete my character. We are certainly delighted with the artwork and it has taken pride of place in our gallery! We are delighted to post the first videos that evidence the start of the building work. By October 2018, this muddy patch of ground will have been replaced with six shiny classrooms, a hall, Nursery and staff room. Before any foundations can go in, a huge amount of earth needs to be moved to achieve the right level. The downside for the builders is that the site will quickly become a very boggy mess. Keep your eyes peeled as we continue to update the website with images and video. Well done to Noah, who has won a trophy at his Karate Club. I have to go to my club every week. If you try your best then we might get the trophy. It is clear that Noah has been really persevering with his Karate and embracing the idea that purposeful practice makes all the difference... well done Noah! In this final newsletter of the year, I would like to thank you all for the support you have shown the school over the last 12 months. Watching all the children come into school this morning, speaking with parents and talking to the staff you would be hard pressed to know that we are at the end of the longest term of the year. Certainly, we have lots to smile about with the achievements of 2017 and it is a year we can look back on with a great deal of pride. This year our school was named as Primary School of the Year AND Overall School of the Year from a category of four other outstanding settings. An amazing achievement! Thank you as well for all the cards and gifts that have been given to staff. On behalf of them I would like to thank you for your kindness and generosity. I would like to wish you all a very Merry Christmas and a Happy New Year… see you in 2018! The letter and request form for Spring term clubs is available via the school blog and facebook page, applications close on January 1st at 12 pm. Mrs Chance and Mrs Charlesworth will be organising the club registers as soon as we return from the break. the only club which will run on the first week back is the choir. Mrs Claxton would like the choir to meet as normal as they re rehearsing hard for the Young Voices concert at the 02. 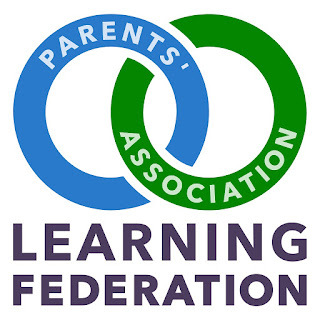 A massive thank you to members of the LFPA who once again organised a very successful event -our Learning Federation Christmas Fayre on Saturday 9th December. The event was well attended and raised in excess of £500 for both of our schools..
We are looking forward to seeing all children back at school in January 2017. There are no clubs at the beginning of term, so all pupils should be picked up promptly by 3.00pm. School opens again on the Tuesday 2nd January – Breakfast Club at 7.45am – with the doors opening at 8.30am for all other pupils. These children have managed to show that they can plan and revise ideas to earn their Reflectiveness certificate. These children have been working hard at home and extending their knowledge through their learning challenge work. These pupils have put the biggest smiles on their teachers faces. In recognition of their insatiable appetite for knowledge and your ability to sniff out amazing facts. These children have earned a reward in recognition of their tables thrashing, maths moshing and sum shrieking achievements. In recognition of the effort you have put in every week to achieve a perfect score in your spelling test. Congratulations. Kanishka Chintala, Katlyn Mukandavire, Nela Urban, John Olatunji, Jessica Butler, Alex Kopiec, Arya Shah, Jaydon Holloway, Sofia Raif, Finley Livingstone, Isabelle Munford, Teni Adu, Ayomide Otegbola, Jack Eve, Rashida Sillah. Our last Sharing Assembly of the year saw another energetic performance from the dance clubs. Both our KS1 and KS2 have been rehearsing very enthusiastically. To see the complex choreography and team work in play was a real delight. We had a special delivery from Santa's little helper today. Theo wasn't available, but we had the next bst thing... a Christmas Postman, complete with Santa Ruffle. He made trips round to all of the class parties, wished the children a 'Happy Christmas' and delivered parcels to some of our families. Thank you for all your help mysterious Christmas postman... see you next year! Congratulations to the KS1 team who put on a fantastic rendition of 'Hey Ewe!' for this year's Christmas performance. On stage we had some very impressive Kings visiting the stable. Our cheeky and inquistive Ewe... Sophie.... stole the show as she tried to peek at baby Jesus. With their tea towels firmly wrapped round their head the shepherds looked very professional. There had also been an fantastic effort with the angels - shimmering and a vision in white. Thank you for the tremendous parental support shown for the performances - it is part of our values that we will come together to celebrate the achievements of the pupils and the high levels of attendance was a testament to that. This weekend two of our pupils took part in an Inter Club judo competition. Both Adam and David won their rounds to earn two very impressive trophies. I had to fight in three rounds. The competition was a lot of fun and the activity has really helped time build up my strength. Well done to both of you... we are all very proud! Congratulations to Lewis who has now achieved his Level 2 Swimming award. Well done Lewis, we are very proud of you! Our KS2 pupils put in a great performance for the residents of Highfield Towers at their Christmas lunch last week. The pupils entertained the guests with a selection of traditional carols, from Ding Dong Merrily on High to Away In A Manger. It was lovely to see the residents joining in when we sang. It made us sound like one huge choir! It is our intention to enable our pupils to see that they live in the middle of a fantastic community. We want them to be proud of coming from Harold Hill. We aim to ensure that the education they receive means they will be able to choose where they live in the future - having the freedom to buy their own house or rent their own property. If they are on Harold Hill it should be because they chose to be here, not that they are stuck.